Love my van automatic sliding doors it is the best feature ever. I have had it for almost a year with no problems at all I love the power doors you can control them with the car remote witch is super convenient because before you get to the car the back doors can be open. The only thing I do not like about this van is that it does not have a backup camera and as a new van driver it is kinda hard when you are trying to park but other than that it is ok it is an amazing then really good quality super comfortable seats seven people comfortably. 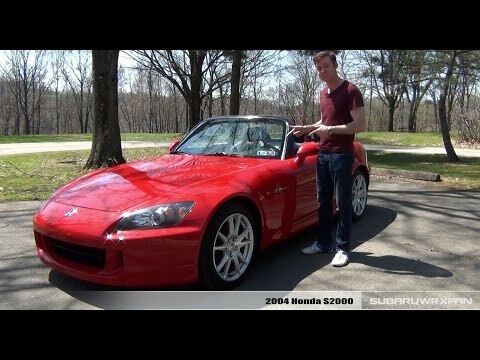 My s2000 is sporty with a comfort to it. Extremely reliable, great gas mileage, Optimal power and great handling. The leather seats will wear if they do not get treated frequently but otherwise it is a great quality car and worth the buy. Truly great driver's car. Lots of fun to drive, with excellent pedal and placement, steering and throttle feel. Honda reliability.